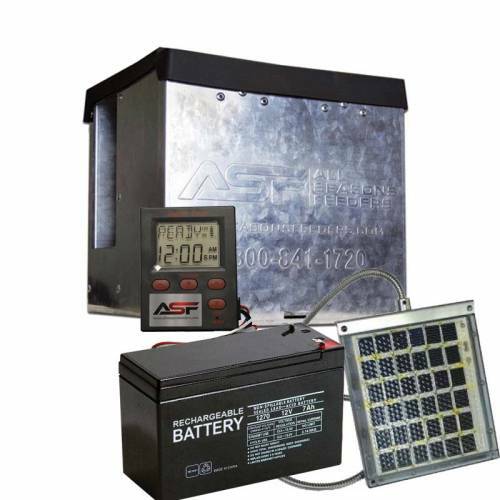 This combo includes a 12v battery and 12v Solar Panel. The Directional Air Drive unit blows feed directionally up to 60 feet! Install on your current feeder to feed your fish.